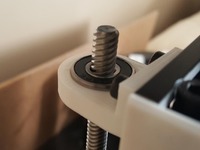 Hictop X-Axis Attachment_Tensioner smaller knob by osyras is licensed under the Creative Commons - Attribution license. 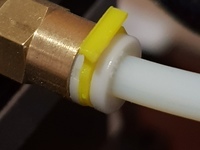 I printed the main tension unit only to find the knob stuck out too far so I had to drill it out and cut it to be more narrow as it was hitting my frame. 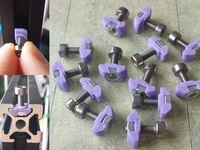 So this is the knob only for https://www.thingiverse.com/thing:3035498. I put a picture of the cut one vs the properly modified one. Say thanks by giving osyras a tip and help them continue to share amazing Things with the Thingiverse community. We're sure osyras would love a Tip, but unfortunately they have not setup their accounts to receive them yet.